Production Plus Corp. offers thousands of standard, in-stock parts hooks for liquid paint spray, powder coating applications and other finishing processes. 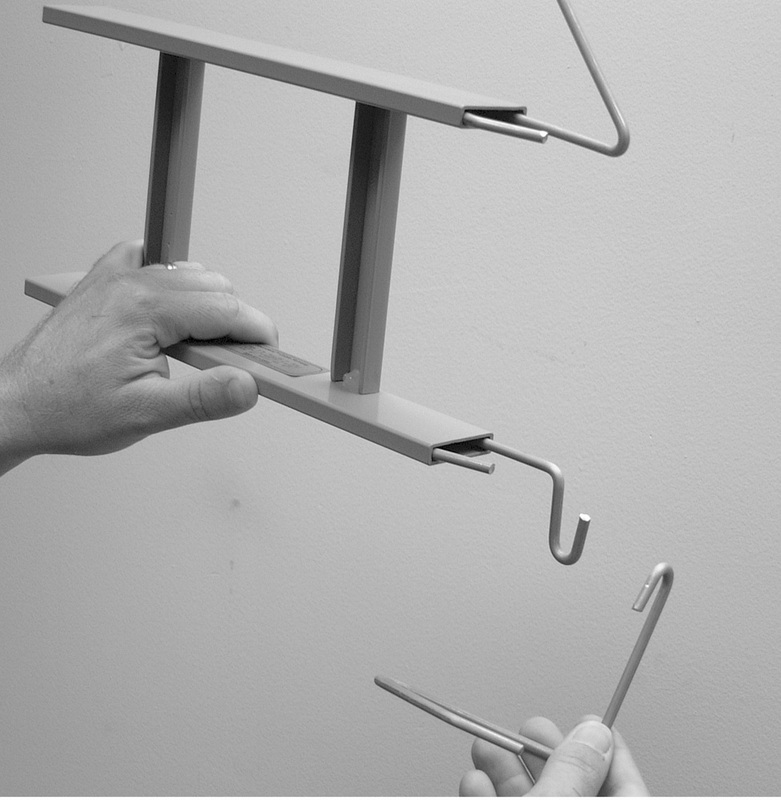 Magic Rack® hooks hold parts securely throughout the paint cycle providing optimum density while increasing productivity. 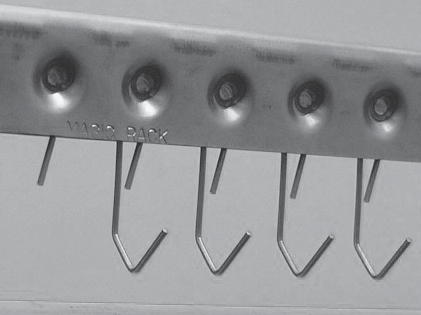 Allowing for better drainage and reduced blemishes, Magic Rack® hooks provide optimum control on the finishing line and in the wash system. 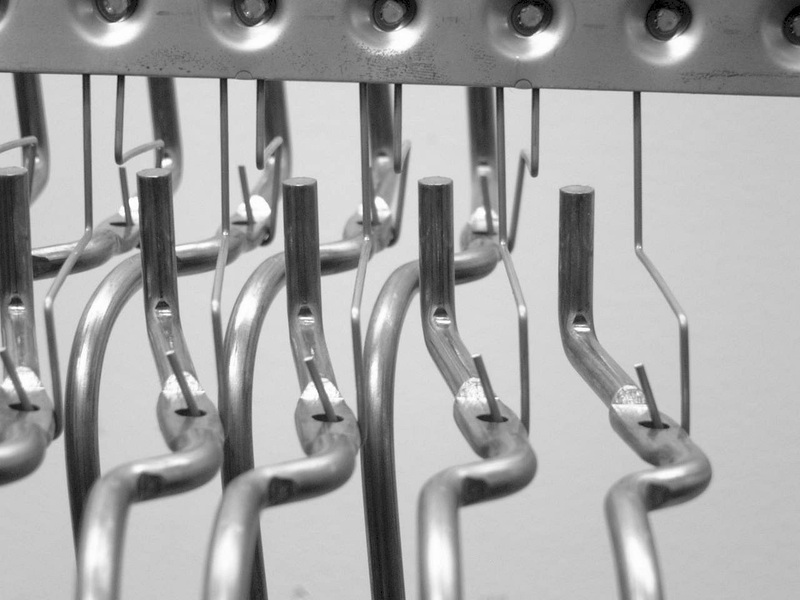 All Magic Rack® hooks meet consistent quality standards. Standard hooks fit securely inside the patented Magic Rack® crossbar which shields the three-point electrostatic ground contacts. 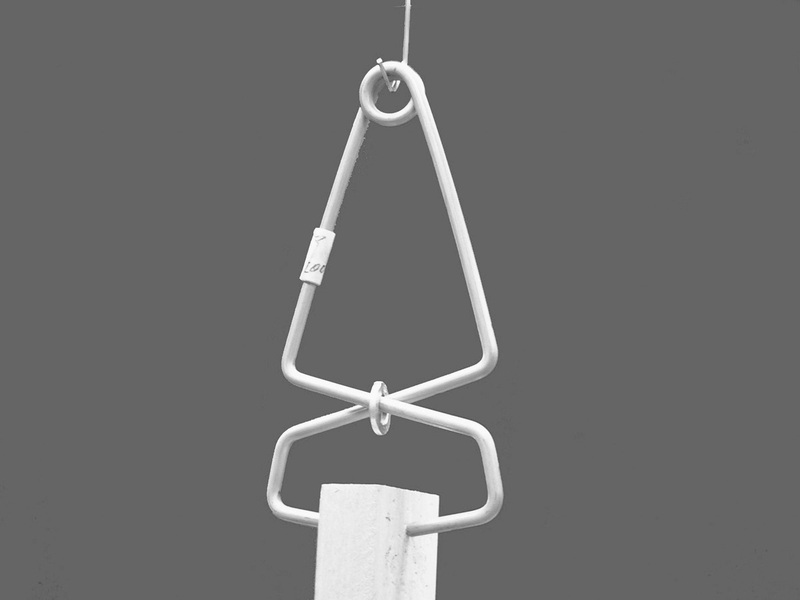 Hooks can be easily added or replaced into a heavily painted crossbar. ‘V’ shape bottom keeps the electrostatic ground longer. – Lengths of 2″, 2-1/2″ and 3″ (custom lengths available). – Diameters of .047″ and .060″ (rated for 1.5 – 4 lbs.). Larger diameters available for heavier parts. – 90°, parallel and 45° positions. – Made from high carbon oil tempered spring steel and 302 stainless spring steel. 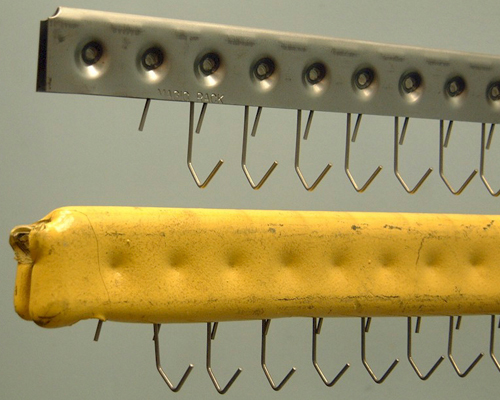 – Combinations of heavy-duty hooks up to .125″ diameters are also in stock. 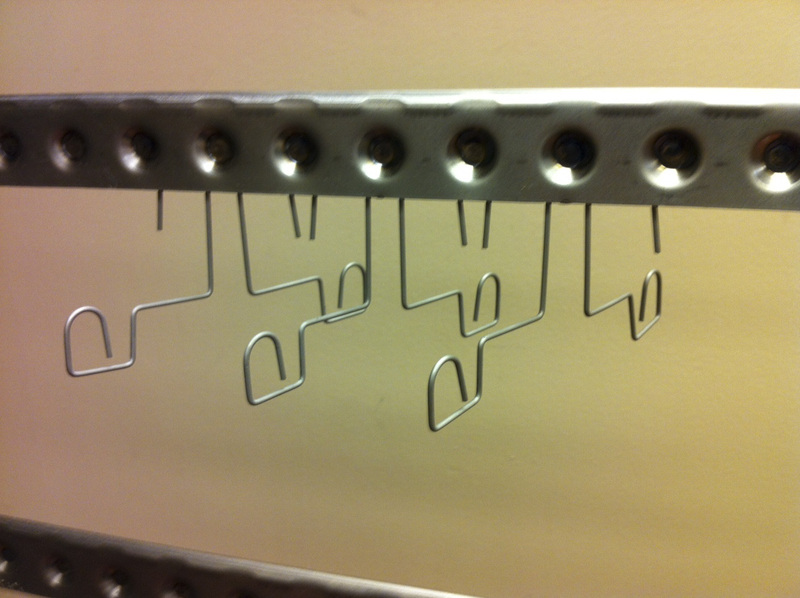 Clean hooks can be placed into existing painted racks to reduce maintenance. Select from our standard parts hooks.